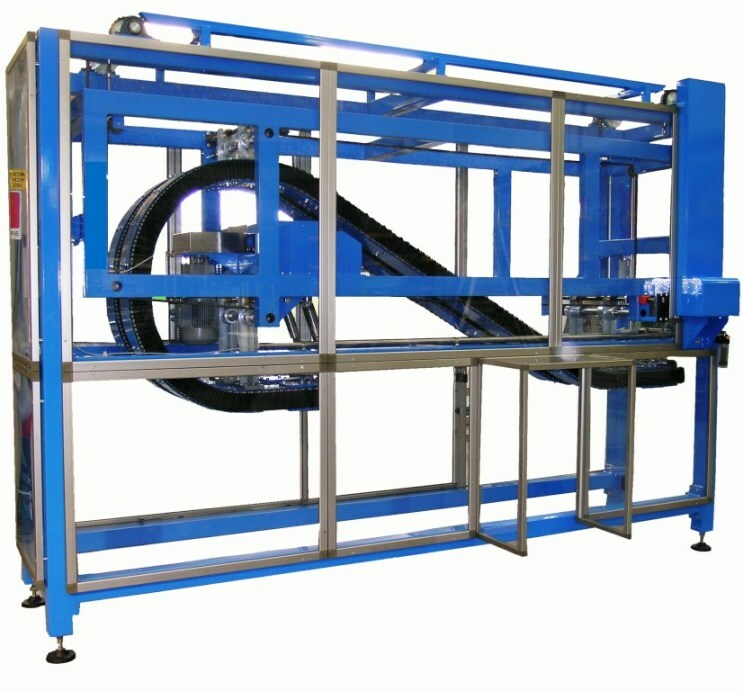 LM Side Grip Elevators and Lowerators are special handling systems used in bottling and packaging lines to change products transport elevation levels within a very small foot print and at high speed. 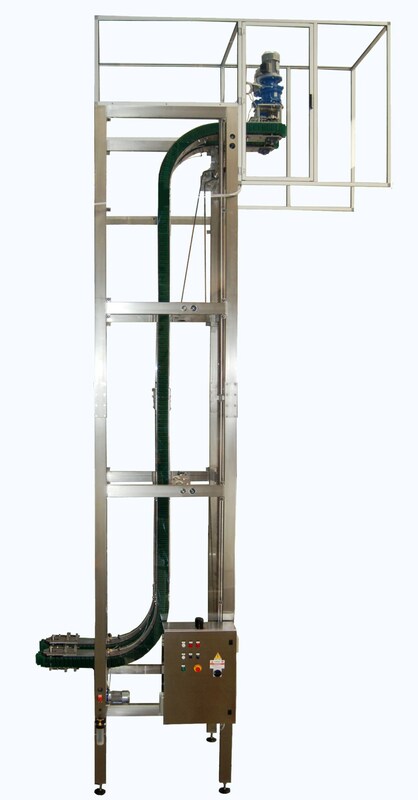 The main feature of this machine is that it is continuous system as opposed to many other types of elevators which have an alternating operation and relevant dead times. Special grippers which are linked to flexible chains take the products from the side and hold them until they are released at the discharge level, allowing for high product throughput using a simple means of operation.